The Ingvar VPN krypto box allows you to exchange your IP number on the internet. Thus your computer will appear on the internet with another identity. 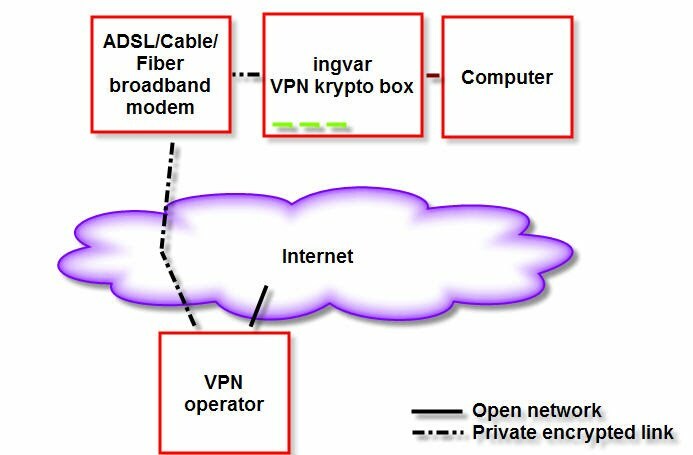 Ingvar establishes an encrypted tunnel to a VPN opertor and virtually connects your computer directly to the VPN operators internet connection. Your ordinary broadband operator only sees the outside of Ingvar and that you send encrypted traffic to the VPN operator. 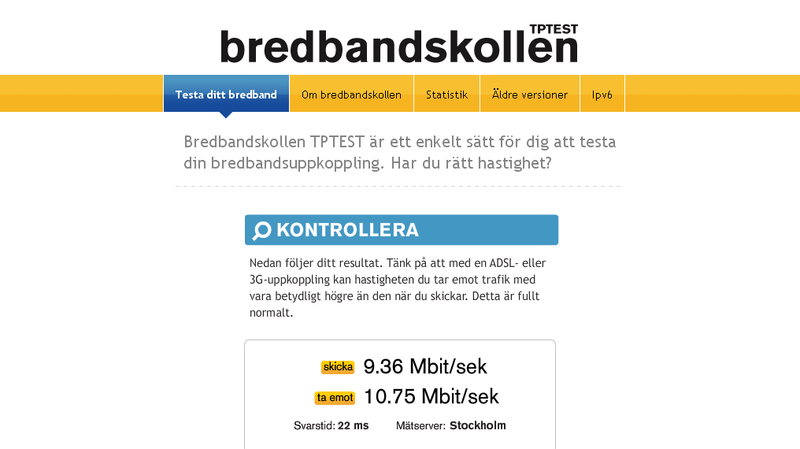 Connect Ingvar to your ADSL/Cable/Fiber modem with an ethernet cable. Connect Ingvar to your computer with an ethernet cable. Enter connection address, user name and password. Save.